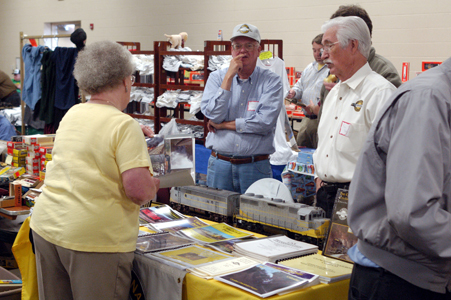 On April 6, 2019, the Alexander Chapter-NRHS will host the 15th Annual NC Railroad Expo at the Hickory NC Metro & ConventionCenter. Located in Hickory, directly off I-40, and extremely convenient to Charlotte, Greensboro, Asheville, Greenville, and Roanoke. 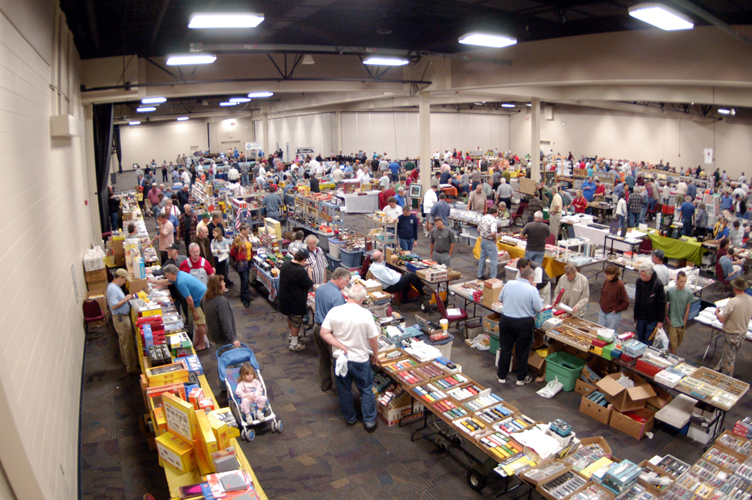 Vendors will be stocking approximately 250 tables full of neat items, and over 1000 people are expected to attend the event- an amazing number for a one day show. 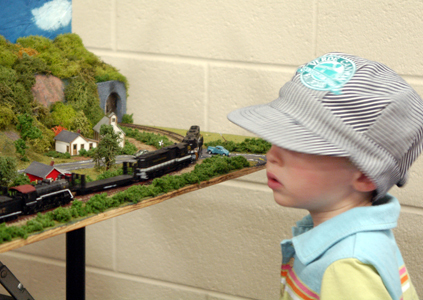 Many dealers comment that this show is one of the **BEST** on the train show circuit. All proceeds from the show benefit the museum and restoration efforts of the Alexander Chapter- National Railway Historical Society. If you want to attend as a DEALER click HERE for a flyer. HURRY! Tables are limited and sell quickly. Check out photos from last year's show below! The expo runs from 9am to 4pm on Saturday, April 6th at the Hickory Metro Center, Exit 125 on Interstate 40 in Hickory, NC. Dealer setup is from Friday, 2pm-7pm and on Saturday morning from 7am-9am. Click HERE for a general admission show flyer, as well as hotel and restaurant information. 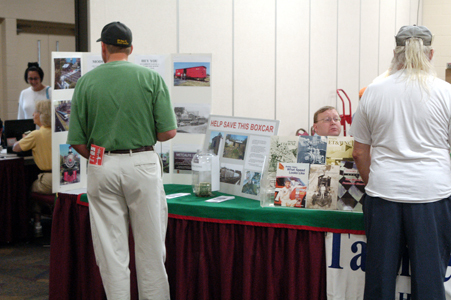 Nearly 250 tables filled two halls of the Convention Center at last year's NC Railroad Expo. Part of the show's purpose is to bring in kids of all ages. It is, after all, the World's Greatest Hobby. ALL proceeds from this show will go towards the restoration of the largest collection of narrow gauge equipment in the entire southeastern United States. 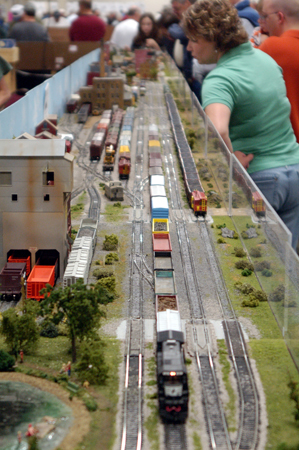 In addition to vendors of models, collectibles, books, and videos, FIVE model railroad layouts will be at the show.